All our beachfront apartments are situated right on the first line of Mogan beach with easy access to many restaurants, bars, supermarkets, church, pool and the beach. They are impeccably decorated with modern furniture and facilities. All our beachfront apartments are impeccably decorated with modern furniture and facilities and situated right on the first line of Mogan beach with easy access to many restaurants, bars, supermarkets, church, pool and the beach. All our harbour view apartments are located right in the harbour with a huge roof terrace with dining area with spectacular views. They are impeccably decorated with modern furniture and facilities. 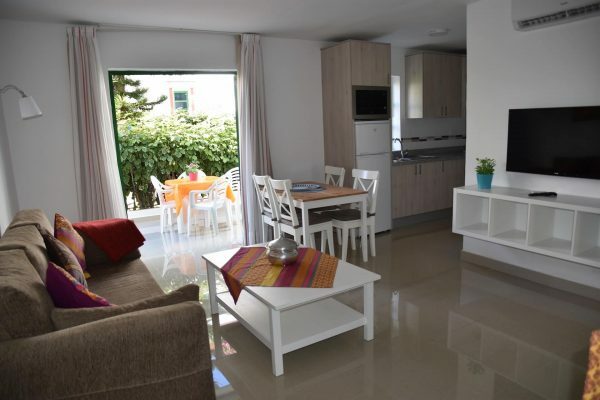 All apartments are impeccably decorated with modern furniture and facilities and situated right on the first line of Mogan beach with easy access to many restaurants, bars, supermarkets, church, pool and the beach. These apartments are located right in the harbour with easy access to many restaurants, bars, supermarkets, church, pool and the beach. All our harbour view apartments are impeccably decorated with modern furniture and facilities. 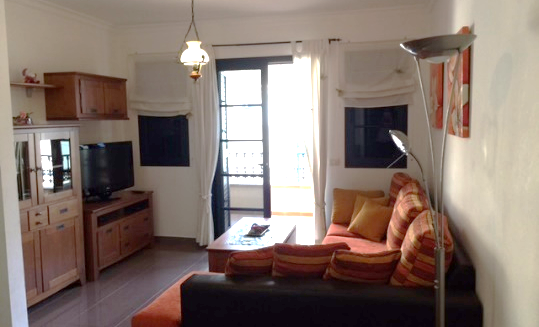 All our harbour view apartments are impeccably decorated with modern furniture and facilities. They are located right in the harbour with easy access to many restaurants, bars, supermarkets, church, pool and the beach. These apartments are located right in the harbour with easy access to many restaurants, bars, supermarkets, church, pool and the beach. They are impeccably decorated with modern furniture and facilities. 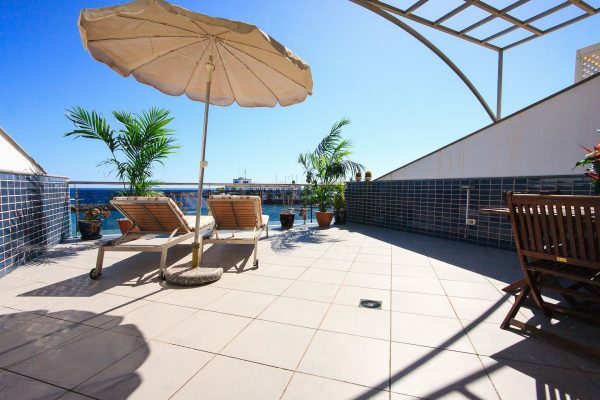 These apartments are located right in the harbour in the pedestrian streets on street level. 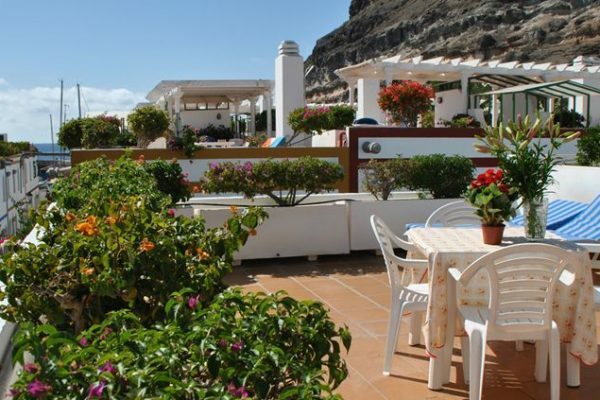 They have easy access to many restaurants, bars, supermarkets, church, pool and the beach. They are impeccably decorated with modern furniture and facilities. Very modern 3 bedroom apartment with balcony. The apartment is 10 minutes walk from the port and pool. It has a very modern kitchen and lounge. There is a balcony with morning sun. One bedroom has a double bed, one two singles and then there is a bunkbed. Every apartment has access to our private pool, with: Sunloungers, Pool bar, Children’s pool and 2 rooftop jacuzzis. "Having stayed in Puerto Mogan in February for several years, the last three having been in a harbour side apartment. 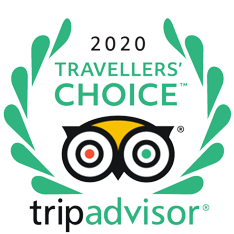 The location is fabulous and the service and help received from Billy, Annelies and the rest of the staff is second to none. The apartment has everything we need and is cleaned daily with fresh towels. We have already booked the same week for the next three years as we enjoy the location, apartment and resort so much. Thank you Billy,Annelies and everyone at Marina Apartments for making our holiday so special. Can't wait for next year!" Bar Marina was established in 1985 by Liam & Greta Dennehy together with son, Billy and daughter, Sylvia. It is a family restaurant owned and still run by the family today . Most of the staff have been with us for the last 20 years. The restaurant boasts an excellent international cuisine open from 8am to midnight and all tables overlook the beautiful Mogan Marina. 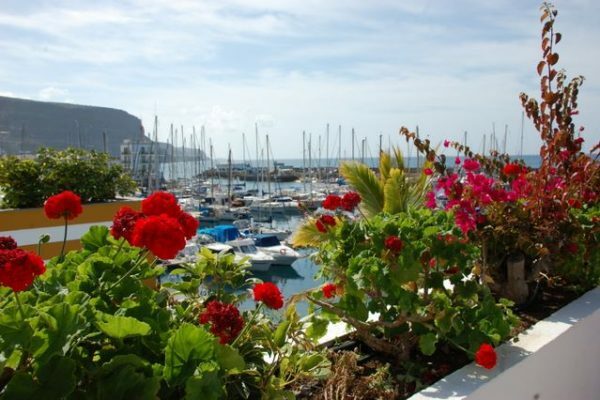 What’s happening at Marina Apartments, around Puerto de Mogan and around the island. 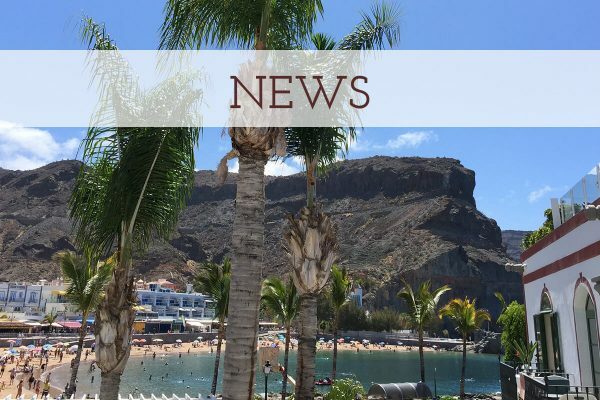 Click here for all the latest news, events, excursions and special offers from the sunshine capital of Gran Canaria. To find us just follow the sun. 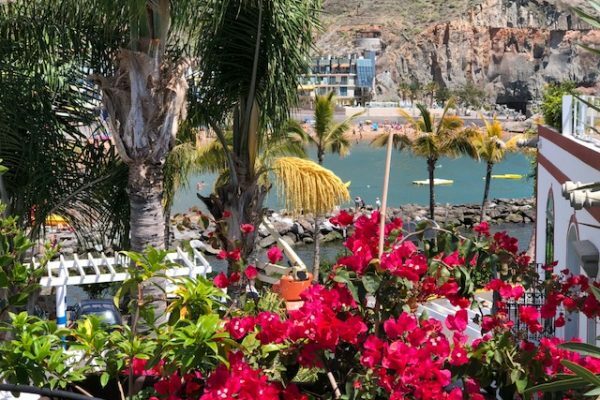 We’re at the south western tip of the island, right next to the beach and overlooking the marina in the heart of Puerto de Mogan, widely regarded as Gran Canaria’s most scenic (and stylish) coastal resort. 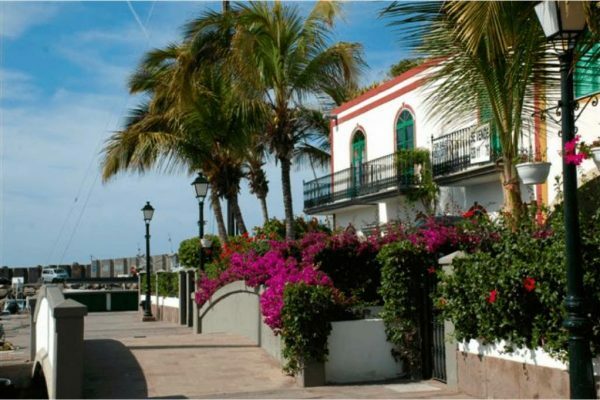 Often referred to as Gran Canaria’s ‘little Venice’, a stroll through Puerto de Mogan, with its famous harbour area, is an essential part of any trip to the island. 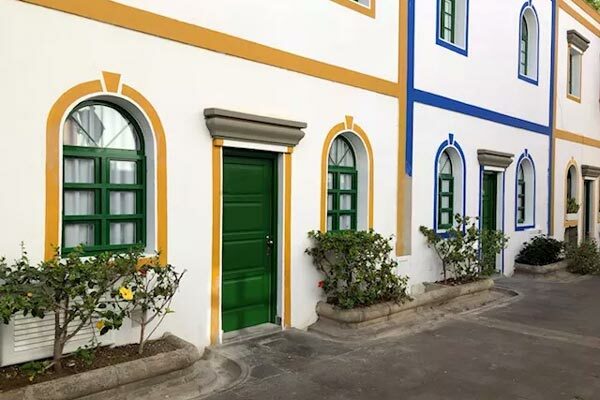 The old town, with its picturesque whitewashed houses, narrow streets and brightly coloured bougainvillea, criss-cross the canals that give the Mogan its nickname. 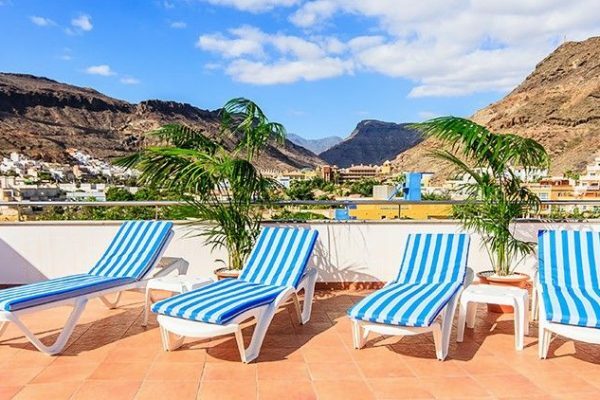 A former fishing community now better known for its stunning, sun-drenched beach, superb seafood and quality accommodation, Puerto de Mogan is the ideal size for exploring on foot – not too big to ever feel lost but large enough to discover your own secret holiday hideaway. Year round sunshine and sheltered south-facing sands, fringed by turquoise waters and gently lapping waves, make the beach at Mogan the perfect destination for sun-worshippers and water lovers alike. A short stroll from numerous bars, cafés and restaurants – serving some excellent seafood – the beach itself is protected by an unobtrusive breakwater on one side and the marina to the other, ensuring calm waters and excellent swimming conditions. Fans of watersports will not be disappointed, with jet-skiing, deep-sea fishing, parascending and scuba diving on offer, while more sedate activities include glass-bottom boat trips and the famous yellow-submarine tour. Sitting very much at the heart of this beautiful coastal town, the fully equipped marina at Puerto de Mogan has the capacity to berth more than 200 boats and offers all the services you’d expect including, chandlery, fuelling and supplies, making it a popular spot with mariners planning an onward journey. Originally home to a large local fishing fleet, the marina at Puerto de Mogan now has a very cosmopolitan feel, without losing touch with its history and culture. The many stylish restaurants and bars bordering the marina ensure that there’s always plenty going on and it’s a great spot to enjoy local seafood or simply find a table, sit back and indulge in a little people watching. 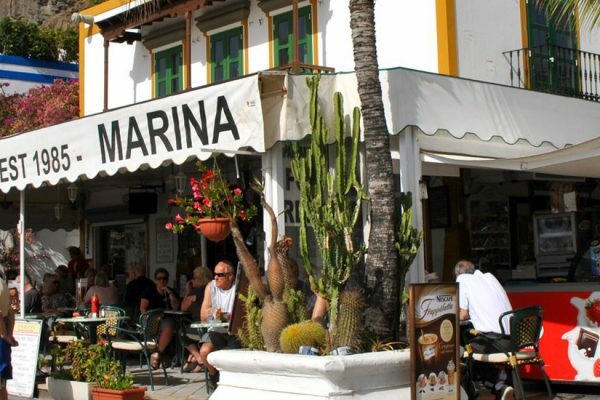 Friday’s are especially vibrant as the area around the marina bursts into life, with a weekly street market stocked with local locally grown fruit and vegetables, Canarian handicrafts and souvenirs.  Widely regarded as Gran Canaria’s prettiest coastal village, a stroll through the harbour and old town is an essential part of any trip. Walk over the canals and down the picturesque streets and you’ll feel like you’re in Venice. Of course, any trip to Mogan needs a trip to the beach. Our beach is sheltered from the wind and waves and is the perfect place to relax for couples and families alike. If you don’t want to lie on the sand you can hire sunloungers and umbrellas too.